Two Russians drowned while swimming at a beach in Nha Trang on Tuesday, despite earlier warnings by rescuers of strong waves. The two died around 11:00 near the Ba Lang beach, Nguyen Hoang Minh Tuyen, a rescuer, told Tuoi Tre (Youth) newspaper, the same day. “We were having lunch when we heard shouts for help,” Tuyen said. The Khanh Hoa Province General Hospital confirmed at 2:00 pm that the two Russians had died upon arrival at the infirmary. Tuyen said that the two victims, around 60, were found to be drunk during the CPR effort. Rescuers had warned visitors, including the pair, against swimming in the area. 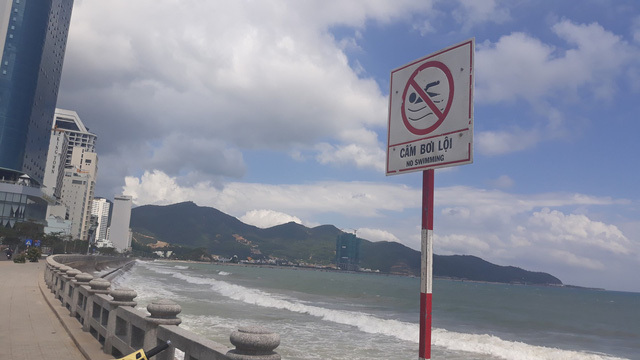 Locals say this is a very dangerous beach area in Nha Trang, which is the capital of Khanh Hoa, as strong waves tend to sweep swimmers away. Drowning happens every year in this place, they add.